With an embroidery area of 260x200 this machine is guaranteed to make every project stand out! The color touch screen allows you to see an accurate preview of what your design will look like once it is complete. The color screen also allows you to see where each color will be stitched, so that if you would like to play around with your color choices, you will be able to know exactly where it will change. Factor in the ability to combine designs right on the screen and really anything is possible! 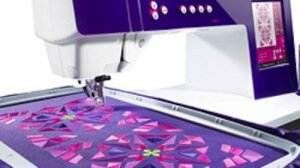 The Stitch Creator feature allows you to make your project as unique as possible and gives you unlimited possibilities when creating or altering your 9mm stitches! 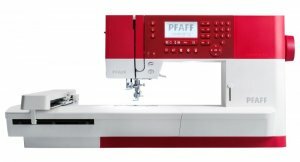 And of course what would a PFAFF machine be without its exclusive IDT system! Guaranteed to produce the perfect feed every time!